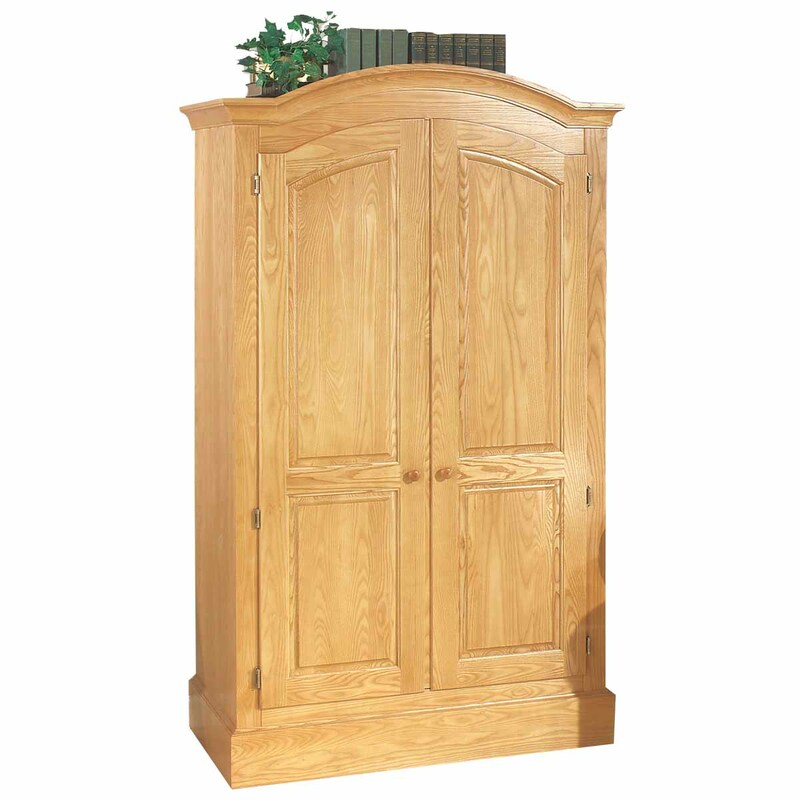 Armoire: This solid ash hardwood armoire will provide functional and versatility to work in any room. 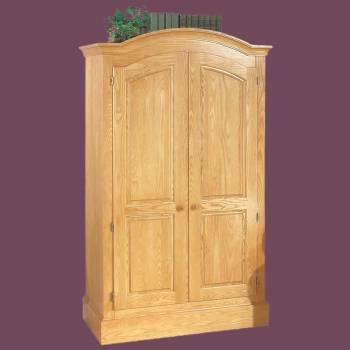 Easily converts into an entertainment unit or a bedroom armoire. Includes three 35 in. x 19 in. shelves (2 adjustable and 1 fixed). The middle shlef is fixed and located 17 in. from the bottom of the armoire. 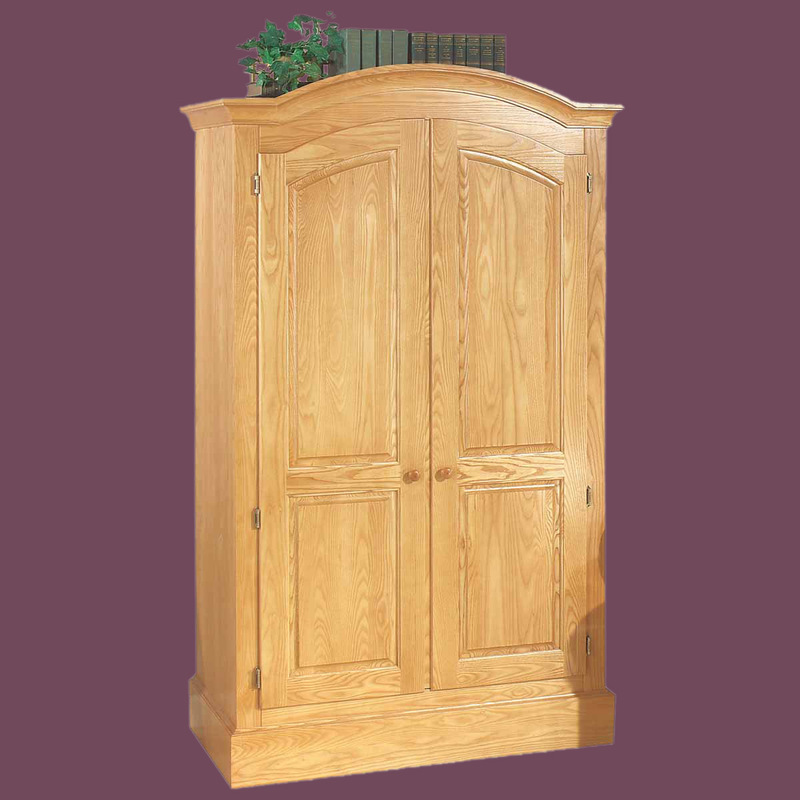 The adjustable shelves are located above and below the fixed shelf. Removable clothes hanger rod for greater versatility and function. Constructed of solid ash harwood and measures 72 in. high x 43 in. wide x 21 1/2 in. deep.